I’m undertaking a Graduate Certificate in Small Animal Ultrasonography through the University of Melbourne, so I use this unit frequently. I only have a single probe, a micro-convex 5 to 8 MHz, but it works well in most situations. It’s particularly handy when we want to take a sterile urine sample. An ultrasound guided cystocentesis is very quick and easy. When undertaking routine blood work, the Logiq is a great diagnostic tool when there are changes in liver or kidney enzymes, or when there is a history of possible intestinal problems including pancreatitis. We’ve had a few dogs with gallbladder abnormalities—including stones—confirmed with the ultrasound. It’s also used to measure kidneys and pelvic recesses with chronic kidney cases in cats and dogs. Recently I was investigating a case of bilateral cryptorchid and used the ultrasound to find exactly where the testicles were located without having to search in the abdomen. I’ve used many different ultrasounds over the years and this one has the best image quality I’ve seen. It has a good range of depth so you can scan larger dogs and get images of the deep liver without needing to change probes. At the moment, I don’t have a linear probe but I still get very good resolution with small cats and dogs. It’s easy to operate and the keyboard and controls are intuitive. It has colour flow doppler, and a variety of other tools I am still learning to use. 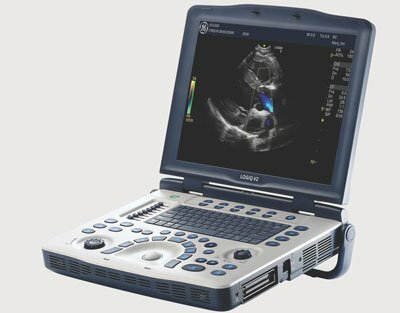 It’s a perfect unit for a vet clinic that needs an ultrasound that will do a bit of everything. There are a few steps to connect it to your computer system in order to upload images. Unfortunately, we don’t have a PACS system at this clinic to directly transfer images. At the moment I’m connecting a USB to upload the images and then using an online DICOM viewer.